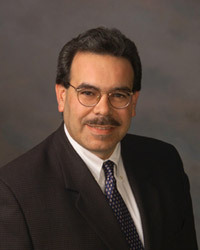 Vice President, The Architects Group, Inc.
With more than 25 years as a practicing architect and general contractor, Manny Leon specializes in managing complex projects from the initial planning phases through construction and occupancy. Manny's experiences include the design and construction of major hotel and mixed-use complexes, including Sheraton Resort in Key Largo, Sheraton Grand in Dallas, Nikko Hotel in Atlanta, and the Datran Center in Miami. For over a decade, he has successfully employed design/build methods to assemble an impressive portfolio of projects from healthcare facilities, warehouses, office buildings, and municipal buildings, to restaurant and retail stores. Vice President, Design-Build InterAmerican, Inc.
President, The Architects Group, Inc.
During his 20 years as an architect, Pedro Ramos he has directed projects valued at more than $200 million. These include major projects at Miami International Airport, hotel and convention center expansions, as well as renovations in South America, and interior designs for major retail specialty store chains and restaurants. 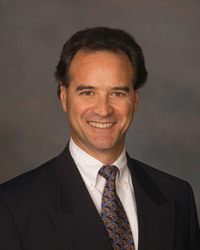 Pedro directed the construction of a major Miami-area mall, and has used the design/build approach effectively for over a decade. He is an active member of the Design-Build Institute of America, promoting the proper use of design/build services to maximize value to the cient.